The Women Project began in a very spontaneous and unpretentious way. My initial goal was just to practice my technique with colored pencils while saying something nice to my friends who already followed my work. When looking for a theme, I opted for intersectionality for being something that I acknowledge as a personal issue. It always bothered me the world’s constant attempts to control women’s bodies, behaviors and identities. This control is such a deep part of our culture that we hardly ever realize how cruel it is and how it restricts our personal choices. However, I don’t believe it’s enough to discuss exclusively the issues that affect a specific group of women. We also need to talk about racism, homophobia, transphobia, classicism, xenophobia and ableism. The fight for equality and respect is very wide and should be inclusive. 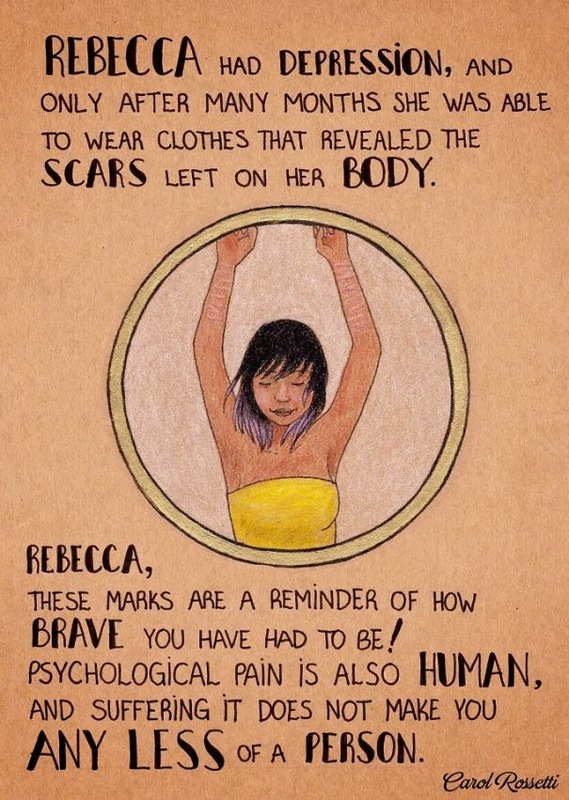 You can also see the images on Carol Rosetti’s Tumblr and Facebook page. The images are thought-provoking, inspirational, and definitely worth a look. At left is one example.